March and April, 2014 were good months for the Northeast Texas Area Crime Stoppers. Not only did we receive fourteen total tips for the two months, these tips lead to the arrest of three people on felony crimes. On separate tips, Adrian Evans, Cyndy Mishler and Clinton Hillman were all arrested, clearing a total of seven felony warrants and four misdemeanor warrants from Morris, Franklin and Camp Counties. These tips resulted in the payment of over $800.00 in tip rewards to the tipsters by the Northeast Texas Area Crime Stoppers Board of Directors. To date, we have paid out over $30,000 in rewards, and assisted in the seizure or recovery of over $330,000 in stolen items and illegal narcotics since the inception of our program in 1991. If you have information on any wanted felony fugitive or any felony crime, please call the Northeast Texas Area Crime Stoppers at (903) 577-TIPS (8477). We also pay reward money for the recovery of stolen property or the seizure of illegal narcotics. Please visit our Facebook page and website at www.netacrimestoppers.org for Crimes of the Week, wanted fugitives, crime prevention tips and news of our Crime Stoppers program. Remember, all we want is your information. You will never be asked for your name! The Northeast Texas Area Crime Stoppers would like to thank all of the community members that came by our Bake Sale at the Wal-Mart in Mt. Pleasant on May 25th. We would also like to thank all of the our members that stayed up late baking goods for our sale. The Bake Sale was a success with over $800.00 raised in less than 7 hours. This money will help Crime Stoppers pay for day-to-day operating costs of our organization like our website, Crime Stoppers Call Center, TipSoft software and other items. If you would still like to donate to Northeast Texas Area Crime Stoppers, you can go to http://www.netacrimestoppers.org/supportus.aspx and then click DONATE. You will then be transferred over to PayPal where you can safely make a donation to our organization using your debit or credit cards. The Northeast Texas Area Crime Stoppers will be hosting a Bake Sale Fundraiser on Saturday, May 25, 2013 from 7:00 AM to 5:00 PM (or until we run out of items to sell) at Walmart in Mt. Pleasant, TX. We receive funding to pay rewards to our tipster through fines collected from the Probation Departments. However, our organization has day-to-day operating costs like this website, Call Center charges, TipSoft tip software and several other items that we need assistance from the community to help pay. Please come out and join a good cause! In December 2012, Northeast Texas Area Crime Stoppers received a Tip by Text from a subject on the Greyhound bus heading to Nashville, TN. The tipster advised that he overheard two females on the bus talking about transporting illegal narcotics in their purses. Due to the short notice of the tip, local law enforcement was unable to get a unit to the bus station in time to stop the bus, however, with the cooperation of Mount Pleasant PD and several other agencies, the two females were finally apprehended in Little Rock, Arkansas. They were found to be carrying two kilos of cocaine with a street value of approximately $30,000.00. So far 2013 has started out well, with the apprehension of Ashley Nicole Evans. 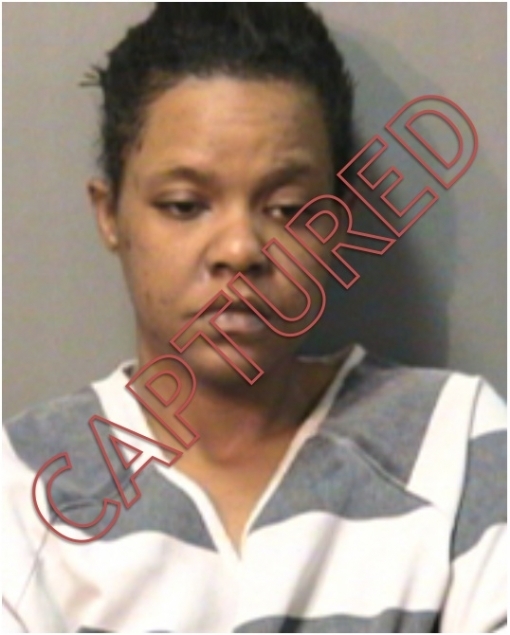 Ms. Evan has been featured on our website and Facebook page for several months and a tip was finally received, indicating that Ms. Evans was located at a residence in Upshur County. 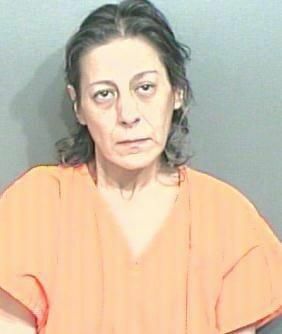 Upshur County Deputies went to the location and arrested Ms. Evans on two felony warrants out of Morris County for Burglary of Habitation and Engaging in Organized Criminal Activity. If you have information on any felony crime or the location of any wanted felony fugitive please call the Northeast Texas Area Crime Stoppers at (903) 577-TIPS (8477) and please visit our site at www.netacrimestoppers.org for information on wanted fugitives, crime of the week and information on how to submit your anonymous tips via our website or by text message. Remember, all we want is your information and if your information leads to an arrest you could receive a CASH REWARD of up to $1000.00. A tip was received last night from a tipster advising that two (2) females on the Greyhound bus coming through Mt. Pleasant on way to Nashville, TN were carrying cocaine. The police were not able to get to the bus station in Mt. Pleasant in time before the bus left but with the cooperation of multiple agencies, the two females were arrested in Little Rock with two (2) kilos of cocaine in their possession. Estimated street value of cocaine seized, approximately $30,000.00. With Christmas quickly approaching, we wanted to post a few Crime Prevention Tips to help make your holiday season Merry! 2. If possible, shop before dark and with a friend. If you can't shop before dark, park as close to the doors as possible in well lit parking lot. trunk of your vehicle and out of sight. If you are in an SUV, try and cover gifts with blankets or coats. 4. Make sure your car doors are locked and windows rolled up. Before going to your car, make sure to have your keys in your hand. 5. While walking to car, make sure you are not being followed and once at your car quickly glance inside and make sure no one is hiding in your vehicle. 6. Avoid carrying large amounts of cash. Pay for your purchases with check, credit card or debit card. 7. Be careful with purses and wallets. Carry your purse securely under your arm and put wallets inside jacket pocket. 1. Be extra cautious about locking doors and windows while again, even for a few minutes. 2. Don't openly display Christmas tree and presents in front window. It is too tempting for a criminal to smash window and steal gifts or return later to break into house. 3. Don't advertise that you are gone for Christmas vacation. Criminals look for clues like piled up newspapers and mail or advertising flyers hanging on front door. 4. Use an inexpensive light timer when you are away and ask a trusted neighbor or friend to pick up newspapers and mail. 5. If you go out for the evening, turn on lights, radio or television in your house and apartment to make it appear someone is home. 6. Burglars know to look around front doors for spare keys. Do not hide spare keys under rocks, in flower pots or above door ledges. 7. Burglars prefer to enter through unlocked doors or windows. Don't run extension cords for Christmas lights through windows preventing it from being locked. 8. Don't post family name on mailbox. A burglar can call directory assistance to get telephone number and call to see if you are home. 9. Don't leave descriptive answering machine messages saying that you are out of town on vacation. 10. After Christmas, don't pile up empty DVD player, computer or other high dollar gift boxes on the street for garbage pickup. Cut boxes down and cut them up to conceal the items. By following just a few of the tips above, we hope this will make your holiday season a safe and happy one. he Northeast Texas Area Crime Stoppers is looking for interested businesses to sponsor an ad at the top of our website at www.netacrimestoppers.org or individuals who would like to make a cash donation. The Northeast Texas Area Crime Stoppers is a 501(c)(3) non-profit corporation and the money will be used to offset the Daily Operations of our organization. 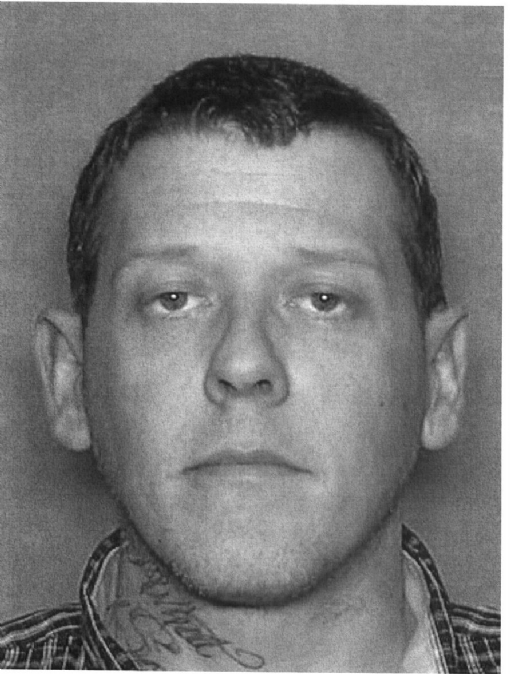 Jacob Clinton is wanted by the Franklin County Sheriff's Office for Injury to a Child with Serious Bodily Injury. Mr. Clinton was featured on December 3, 2012 on KLTV Channel 7 Crime Fighters segment. If you have information as to his whereabouts, please call the Northeast Texas Area Crime Stoppers at (903) 577-TIPS (8477). Remember, you will never be asked for your name and you will not have to testify in court. If your information leads to an arrest of Mr. Clinton, or any other wanted felony fugitive, you could receive a CASH REWARD of up to $1000.00. Please watch the KLTV Channel 7 News at 10:00 PM tonight as we feature two (2) wanted fugitives out of Naples Police Department in Morris County, Texas. Randy Dean Brooks and Deanna Lynn Hill are wanted for operating a methamphetamine lab in the back of a Budget Rental truck. If you have any information as to their whereabouts, please call the Northeast Texas Area Crime Stoppers at (903) 577-TIPS (8477). Remember, all we want is your information and you will never be asked your name. The Northeast Texas Area Crime Stoppers would like congratulate Louisa Mendez for winning the Skil Jigsaw at Country Fest. We would also like to thank Tom Scott Lumber for the donation. Thanks to all the people that came by and visited with us and thanks to those that bought raffle tickets or donated money to Crime Stoppers. 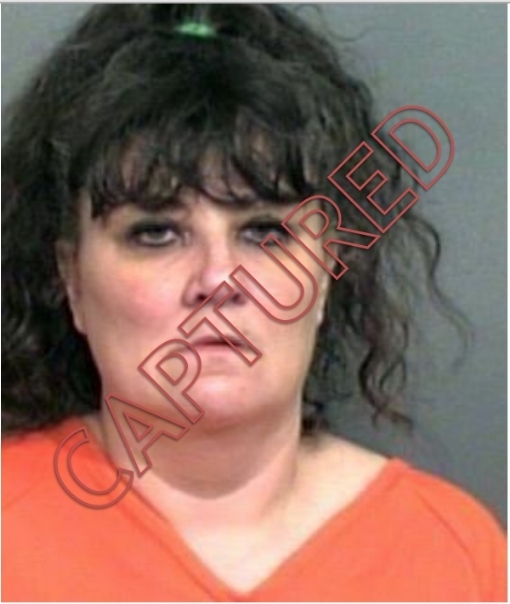 On September 1, 2012, the Northeast Texas Area Crime Stoppers received information that Gwendolyn Kennedy was located at a hotel in Longview, TX. Longview Police Department was notified and went to the location, where Ms. Kennedy was arrested. 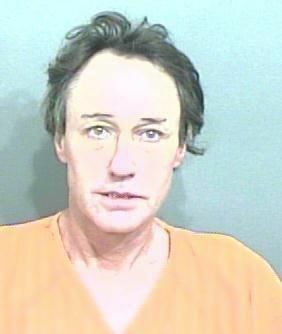 Ms. Kennedy was wanted out of Lone Star/Morris County for Aggravated Robbery. On September 12, 2012, information was received that Johnny Caraballo was located at a residence in Camp County, Texas. Camp County Deputies went to the location and found Mr. Caraballo hiding in a closet to avoid apprehension. Mr. Caraballo was wanted for a Parole Violation for Unauthorized Use of Motor Vehicle by Franklin County Sheriff’s Office. Ms. Kennedy and Mr. Caraballo were featured on our website, Facebook page and in multiple media outlets throughout Northeast Texas. These media and social outlets have been instrumental in getting the information out to the people who are calling in the tips and information. At the September meeting of the Northeast Texas Area Crime Stoppers, the five tips for the end of August and first of September were voted on by the Board of Directors. These tips resulted in six arrests and the clearing of thirty-two felony warrants out of Titus, Morris and Franklin Counties. The Board of Directors approved a total of $1925.00 in tips to be paid out to these anonymous tipsters. If you have information on any wanted felony fugitive or any felony crime, please call the Northeast Texas Area Crime Stoppers at (903) 577-TIPS (8477). Please visit our Facebook page and website at www.netacrimestoppers.org for Crimes of the Week, wanted fugitives, crime prevention tips and news of our Crime Stoppers program. Remember, all we want is your information. You will never be asked for your name! The Northeast Texas Area Crime Stoppers will be setting up a drop-box at our booth at the Mt. Vernon CountryFest on October 13, 2012 on the downtown square supporting Cell Phones for Soldiers. 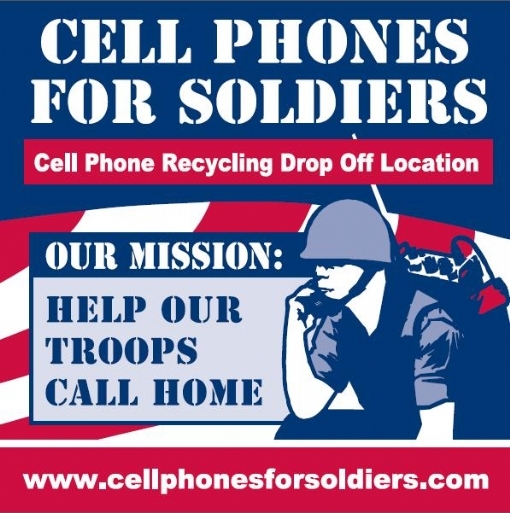 Cell Phones for Soldiers will give a one (1) hour telelphone calling card to one of our military personnel for every donation of a gently used cell phone. Please come out and support our troops as well as help the environmental impact of throwing phones and batteries into landfills. The Northeast Texas Area Crime Stoppers met tonight and voted to pay $1925.00 total for the five (5) tips received that resulted in six (6) felony arrests and the clearing of thirty-two (32) felony warrants. The end of August was busy for the Northeast Texas Area Crime Stoppers! A total of three (3) felony arrests were made off of tips received through our Crime Stoppers tip line. These three arrests cleared a total of twenty-eight (28) felony warrants in Morris, Titus, and Franklin Counties. 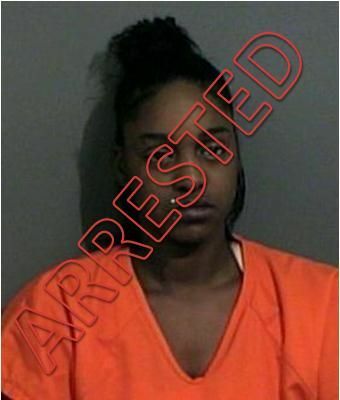 The first arrest occurred on August 21, 2012, when Richard Grant and Umekia Lawson were arrested after the Northeast Texas Area Crime Stoppers received a tip that they were located in Mt. Pleasant, Texas. Officers from the Mt. 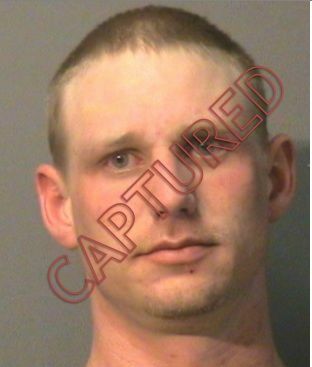 Pleasant Police Department responded to the location provided by the tipster and were able to take both into custody. Mr. Grant and Ms. Lawson were both wanted for entering a church in Morris County without the consent of the owner and stealing a checkbook. After stealing the checkbook, they then wrote checks for cash in various locations in Titus and Morris Counties. The arrest of Mr. Grant and Ms. Lawson cleared twenty five (25) felony warrants held by the Morris and Titus County Sheriff’s Offices on these subjects. 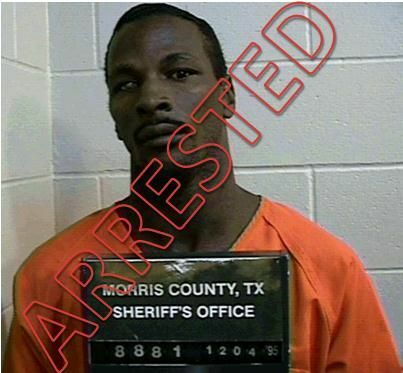 On August 27, 2012, another tip received by the Northeast Texas Area Crime Stoppers resulted in the arrest of Kevin Scott Burnett in Avinger, TX on three (3) felony warrants for burglary of a habitation and burglary of a building. Mr. Grant and Mr. Burnett had been featured on our website, Facebook page and in multiple media outlets throughout northeast Texas. We would like to thank the Mt. Pleasant Police Department, Cass County Sheriff’s Office and Hughes Springs Police Department for their assistance in the apprehension of these wanted felons. If you have information on any wanted felony fugitive or felony crime, please call Crime Stoppers at (903) 577-TIPS (8477). Please visit our Facebook page and website at www.netacrimestoppers.org for Crimes of the Week, wanted fugitives, crime prevention tips and news of our Crime Stoppers program. Remember, all we want is your information and you will never be asked for you name. 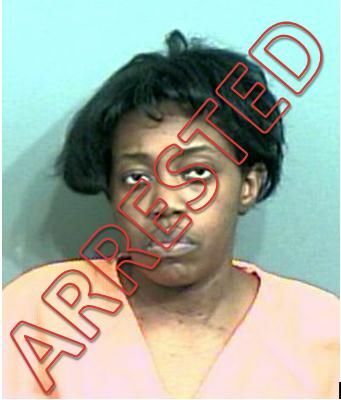 Just received word that Gwendolyn Kennedy was arrested on September 1, 2012 by the Longview Police Department after a tip was received by the Northeast Texas Area Crime Stoppers. With her arrest, the last week of August and first part of September resulted in the arrest of four (4) felony fugitives which cleared a total of twenty-nine (29) felony warrants in Franklin, Morris and Titus Counties. With these arrests and the total amount of tips coming in to our hotline, we are on track to have a record breaking year. Everyone please keep up the good work and continue to call in Wanted Fugitives and Felony Crimes. Remember, all we want is your information and not your name! On September 4, 2012, the Northeast Texas Area Crime Stoppers met with the Principals and Superintendent of the Daingerfield Independent School District. After discussing our program and how we can benefit the school district, Daingerfield ISD has decided to partner with the Northeast Texas Area Crime Stoppers. Remember, all we want is your information and not your name. You will not have to give your name and you will not have to testify in court. Richard Grant and Umekia Lawson were arrested August 21, 2012 after the Northeast Texas Area Crime Stoppers received a tip that they were located in Mt. Pleasant, Texas. Mt. Pleasant Police Department responded to location provided by the tipster and was able to take both into custody. The arrest of Mr. Grant and Ms. Lawson today cleared twenty-four (24) felony warrants and three (3) misdemeanor warrants. We would like to thank the Mt. Pleasant Police Department for their quick response when they received the tip and assisting with the apprehension of the Grant and Lawson. On August 21, 2012, the Northeast Texas Area Crime Stoppers gave a presentation to the teachers and staff of Paul Pewitt CISD. The presentation covered the history of crime stoppers, how the program works and how our new TipSoft software with anonymous Web and Text Tips can help to make their campus a safer place for students and employees. 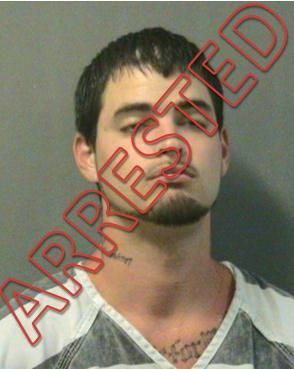 UPDATE -- Mr. Grant was apprended on a Crime Stoppers tip on August 21, 2012 in Mt. Pleasant, TX. Richard James Grant was featured last night on KLTV Channel 7 Crime Fighters. Below is the video so you can go and watch. Area Crime Stoppers. If your tip leads to an arrest, you could receive a reward of up to $1000.00. The Northeast Texas Area Crime Stoppers will have a booth set up on Saturday, July 28th at the Watermelon Festival in Naples, TX. Please come by and visit with us and see how we can get you free money!